Apple butter is wonderful, but the pears want equal time! Give it to them with this easy, no canning pear butter recipe. I am in a fruit butter kind of a mood these days. I can’t stop making the banana jam recipe I wrote about a few days ago (mmmm, banana! ), and now my fridge is chock-full of pear butter. Think sweet, spicy apple butter…only with, yep, pears. It’s perfect warmed up and spread over toast, or blended into a smoothie, or yes, eaten directly out of the jar. You can put it in a bowl if you want to be extra fancy. And if you put it in a pretty mason jar and tie a ribbon around it, it’s the perfect little holiday gift. Let’s make some! But first a word about mason jars. As in, I can NEVER have enough mason jars. I keep them in rows on my kitchen hutch, and even though I buy them in sets of 8 and 12 somehow they keep disappearing. Well, not actually disappearing – right now there is one with a candle burning in it on my desk, three filled with tiny gold ornaments on my dining room table, one filled with capers in my fridge, and two filled with pear butter. I love all kinds of mason jars but these are the kind I like for jams and fruit butters. So all of my loved ones out there? If you are ever scratching your head about what to get me for my, ahem, birthday, which might be, AHEM, tomorrow, you can’t go wrong with mason jars. The kind with the pretty designs on the front are my faves. Hint-hint-cough-cough. Anyway, let things simmer for about 45 minutes, stirring about every ten minutes or so. Now you have multiple decisions to make…here goes. You can give the pear butter a gentle mash with a potato masher and leave it exactly as is…it will be the consistency of chunky applesauce. Mmmmmm. 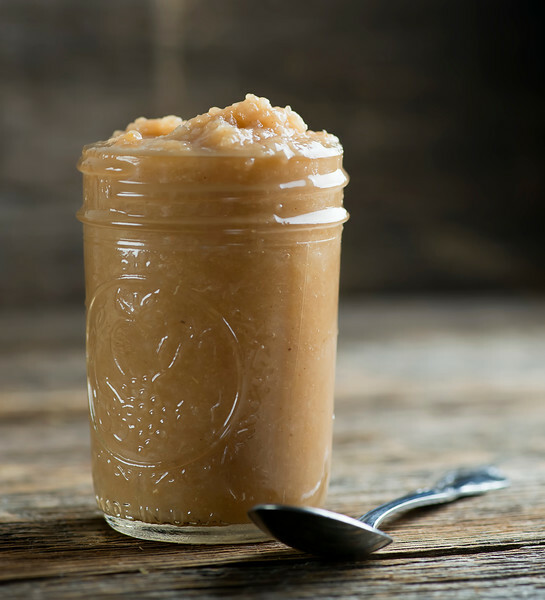 You can give the pear butter a whirl in the blender or with an immersion butter…it will be the consistency of smoother applesauce. That’s how I like it, and that’s what’s in the picture. You can pour it into a fine mesh strainer and push it so that some of the liquid drains out, so it will be a little firmer and more spreadable…you can also get this result from just letting it simmer, lid off, for a little while longer. All of these choices are total winners. As you will be, once folks realize you are a champion pear-butter-maker! Place everything into a heavy saucepan and bring to a simmer. Place the lid on slightly ajar and simmer for 45 minutes, stirring every ten or so. 2.You can give the pear butter a gentle mash with a potato masher and leave it exactly as is…it will be the consistency of chunky applesauce. Mmmmmm. OR, you can give the pear butter a whirl in the blender or with an immersion butter…it will be the consistency of smoother applesauce. OR, you can pour it into a fine mesh strainer and push it so that some of the liquid drains out, so it will be a little firmer and more spreadable…you can also get this result from just letting it simmer, lid off, for a little while longer. 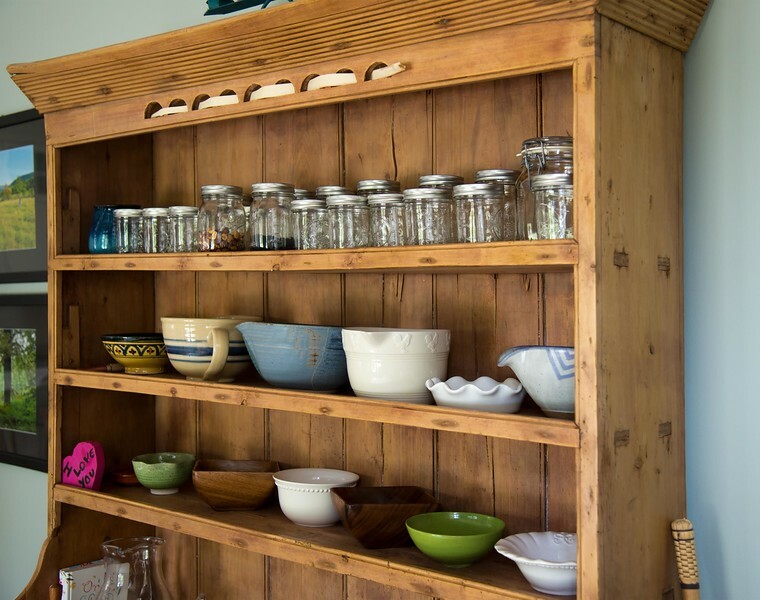 Whatever way you like it, serve it up either warm or chilled on toast, muffins, scones, pancakes or just by itself! Happy birthday. I have a fabulous BACON receipe I would love to share with you.mit is called “Simply Saucy Bacon-Wrapped Pork Loin”. It was publish in the Dec2012-Jan2013 AARP magazine. This sounds amazing! I adore fruit butters, especially mixed in with my oatmeal or yogurt! I’ve never made pear butter before, but I really want to! Can I sub in coconut sugar ?